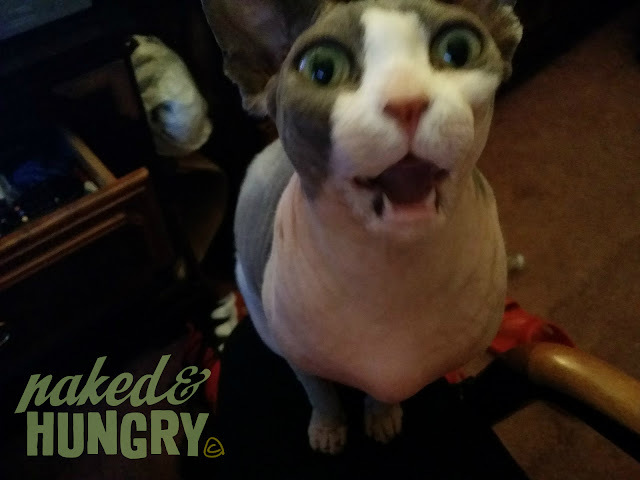 Naked and Hungry: What's In It for Me? Oh, that is a nice shirt she bought. 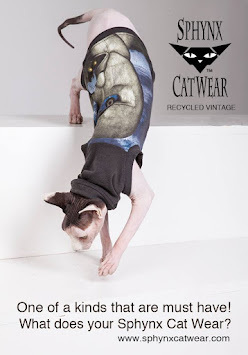 She probably bought this to wear to BlogPaws 2016 in Phoenix Arizona. I haven't seen her buy anything for ME! Oh she is in SUCH trubble!! She doesn't know yet, but I had some new clothes made for her and her brother. Wanted it to be a surprise, but she is such a demanding little puss. Maybe she will get you a matching shirt. I am trying my best to coordinate our wardrobes. Problem is they dress better than me.